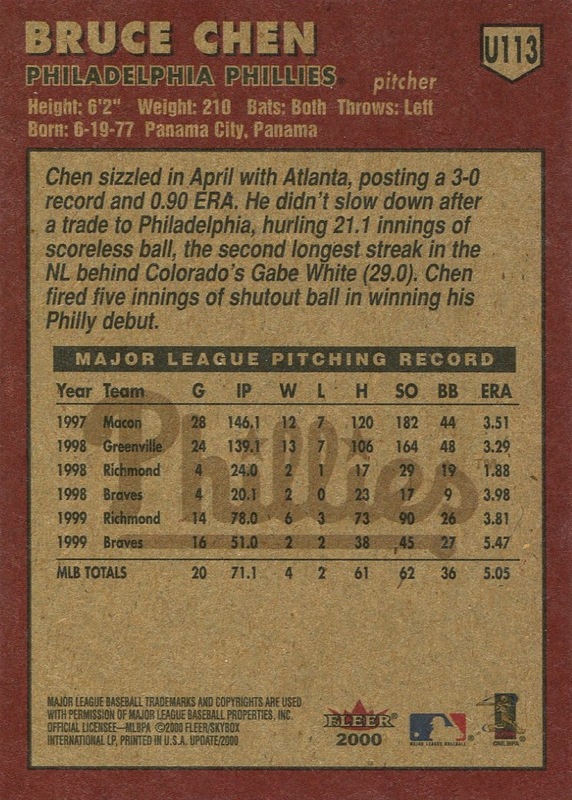 Additional Information/14,000 Phillies Commentary: No parallels or inserts — something the regular 2000 Fleer Tradition set couldn’t claim. Without performing a thorough check, this may very well be the last set issued by a major manufacturer that did not include either of these items. Wouldn’t it be great if another set did this again? It’s worth noting that this set contains Boyd’s only solo appearance as a Phillie on any baseball card — he never appeared in a team issued set. 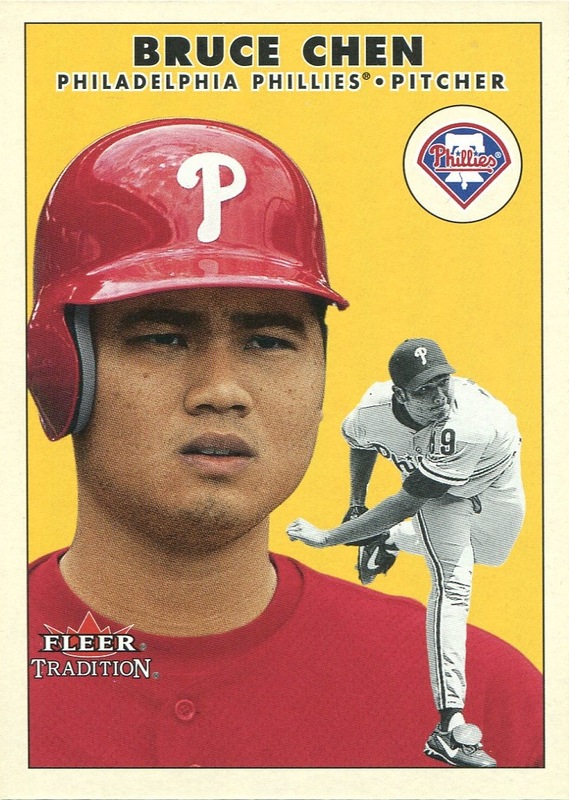 On a personal note, I just loved the fact that Chen looks somewhat befuddled while wearing a batting helmet in his portrait picture, because that’s the way most pitchers should look when batting.